Within HASCO’s Hot Runner Division, the development team responsible for needle valve solutions has supplemented the universal single needle valves of the Z107105/… range with an additional size. The new needle drive unit can be used with a large number of nozzles of the TechniShot and ValueShot ranges. Through the locked, twist-proof needle, even complex gating geometries are possible. The basic concept behind the needle valve unit is, as before, universality and modularity. A major advantage of the drive unit is that it can be used either as a single nozzle centrally mounted in the middle of the mould or as a drive unit mounted offset between the manifold and nozzle. This means that the optimisation obtained in pre-production and prototype moulds with a specific type of nozzle configuration can be transferred without risk into a multi-cavity production mould. It is even possible to carry over the hot runner components, reducing the cost of gaining vital development knowledge before committing to the production mould. When the Z107105/… is positioned between the manifold and the nozzle head, the unit has the added advantage that axial thermal expansion of the manifold block has no influence whatsoever on the valve pin position, thus preventing any needle deflection. The low build height allows applications as back-to-back solutions in multi-daylight moulds and tandem moulds. 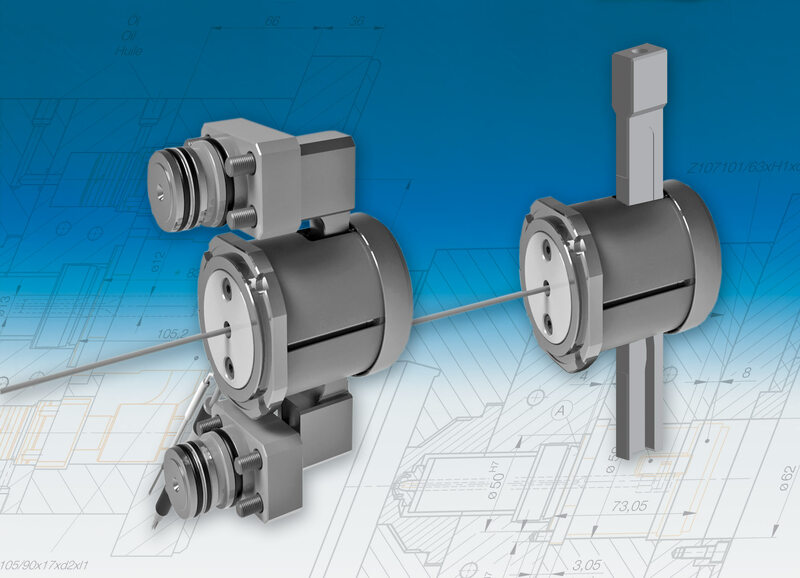 The optimum L/D ratio through the short needle length extends the service life of the needle and gate aperture. With the Z107105/.., the drive is activated via compact hydraulic cylinders, connected via a tie-bar through the unit. The valve pin stroke can, depending on the drive solution, be varied in a range of 2 to 17mm. This means that the units can be geared to suit to the application and the respective nozzle type. From a rheological point of view, too, the HASCO Universal single needle valve Z107105/… has a lot to offer. There is no splitting of the melt, which means that weld lines – which are especially unsightly on flat visible surfaces – can, in combination with a suitable nozzle type, be completely avoided. With suitable design of the melt channels, pressure losses in the system are kept to a minimum. The improved guiding of the melt avoids dead spots and sharp edges, thereby significantly improving colour change behaviour and avoiding material damage. Materials containing fillers can be processed without any stress on the material up to a shot weight of 1.7 kg. In designing the unit, particular importance was attached to a homogeneous and symmetrical temperature profile. The service friendliness was also taken into account when refining the drive system. The heating unit, temperature sensors and needle guide are very simple to replace when necessary.